Welcome to Tuesday Talk (#TuesTalk) at Almond Place! So happy to have this little party growing in leaps and bounds every week! We've been enjoying your posts and getting to know some of you wonderful bloggers a little better each week! The Winners of last week's giveaway for a Mommy Hook: Rachele and Tina! You should've received an email from me already...let me know if you didn't! I am so excited for this day! It's one that's been coming for a long time! 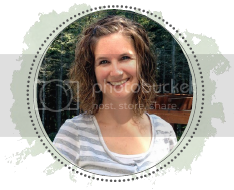 One of my favorite bloggers, Jessica Turner from The Mom Creative, is launching her book! I've posted about it before, including several pics on Instagram. Jessica's book, The Fringe Hours, is about carving time for ourselves in the midst of our busy lives. She explores the various reasons why it's hard for women, whether mothers or not, have a hard time cultivating our own passions. One of the biggest obstacles she finds is guilt....guilt holds us back. Guilt prohibits us from following our dreams, and exploring things that fill up OUR cups. I was thrilled to be one of the women interviewed for her book. It was a refreshing conversation with her as we talked about all the things I already did well in making time for myself, as well as talking about the areas where I could do better. One of the things I struggle with is putting my needs first sometime...of course this is impossible all the time with a husband, 3 kids, and a full time job...but talking to Jessica made me realize I did need to put MY things at the top of list every once in a while! What a huge difference this has made in my life and that short 30 minute conversation was truly life changing for me! One of my favorite activities is to scrapbook but that's the one I find the hardest to do. So, now I simply break down my project and get a little bit done every other day or so. I still get everything done that I need done around the house, but I'm also carving out those few minutes for myself doing something I love. I'll be linking up to Jessica's Fringe Hours link party and sharing different ways I'm exploring and creating my own #fringehours each week....one of them includes writing this little blog of mine! You can now purchase Jessica's book on Amazon and I would just be so thrilled if you would go ahead a support this sweet Mama. I am also thrilled to give a copy of The Fringe Hours away this week! Enter the giveaway today and winners will be announced next Tuesday! That's a great one! My kids don't nap anymore and I miss is greatly! I keep seeing this book pop up - it looks so good! My favorite fringe hour is probably nap time. Although I usually have to restrain myself from doing something boring like clean the kitchen! I'm also learning to use the relax time at the end of the night to do more than just veg out in front of the tv. Liz, you need this book! Nap time is precious time to yourself! I would encourage you to let the kitchen go and do something for yourself! Huh? Time for myself? I am always so tired until my 2 year old takes her nap and then I am wide awake and it is like TIME TO CLEAN! This seems like a must read for me to figure out how to gain some ME time! You DEFINITELY need this book! Yes, Megan! You must take a look! It's such a great read and has totally changed my outlook. It's helped me realize that my passions are just as important! Fringe hour would be sleep time. The house is quiet, and I can finally hear myself think! I'm trying to better use my fringe hours instead of wasting it.